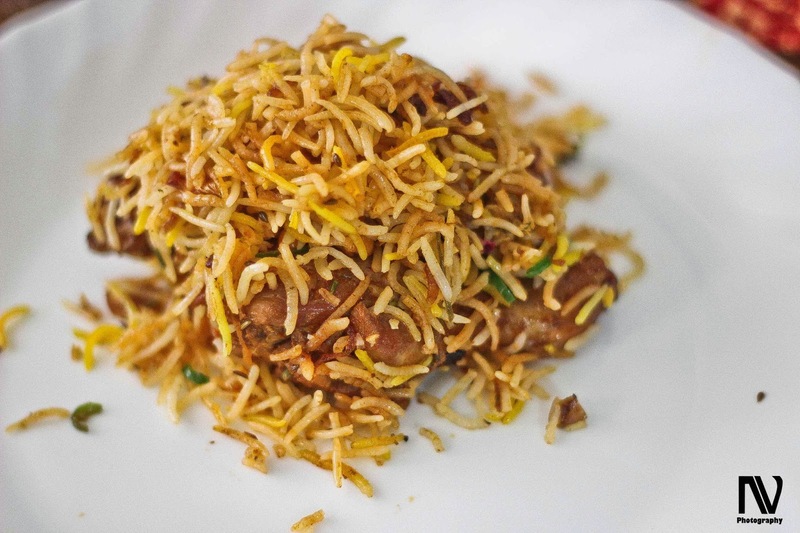 Cafe Birian at Indirapuram serves both the varieties of Biryani - the Hyderabadi and the Lucknowi one. 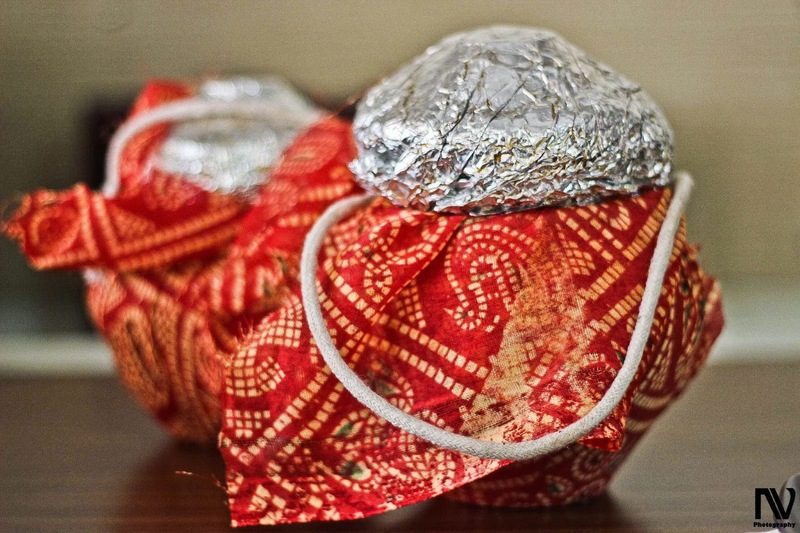 Packaged in earthen matkas (clay pots) of various sizes, the clay pots ensure that the food remains hot till the matka is opened and brings in subtle earthen flavors to the biryani rice. 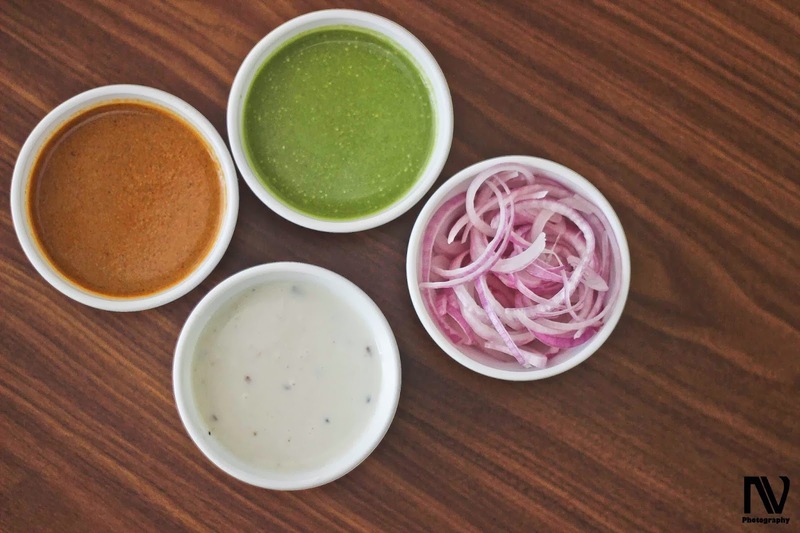 Using of matkas also give some added ingenuity to the dishes as the biryani contents are layered and then cooked slowly over a low fire with the top of the pot sealed with dough which is essentially the Dum style of cooking. The Lucknowi version of the Biryani is probably the closest to their ancestors the Persian pilaf (pulao). The Awadhi Biryani with all its spices is one of the best dishes here. The dish had a good quantity of meat; the aroma and the taste of the basmati rice was simply awesome. Served with the Burrani Raita, I regard their biryani one of the best and most value for money in Noida. The restaurant also serves the Kachhi Hyderabadi style of Biryani, made famous by the Paradise and Bawarchi restaurants of the South. The meat and the rice are thoroughly mixed and cooked together in a Dum preparation. Though the biryani served was technically perfect, it lacked resemblance to the authentic Hyderabadi biryani. 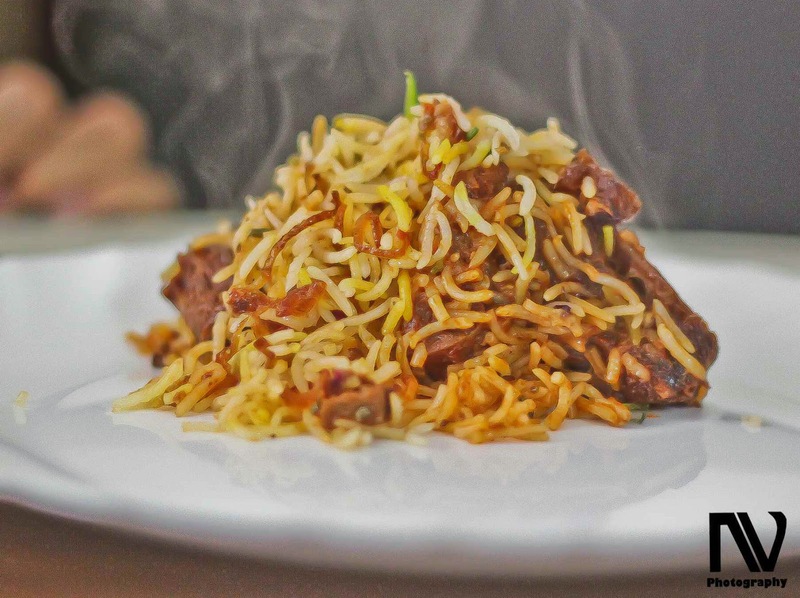 The Hyderabadi Biryani has clumps of masala stuck to the meat which burst through grains of rice; this was greatly missing in the Cafe Birian version. Not only does Cafe Birian serve different biriyani dishes, but also serves Burrani Raita, Dal Birian, Bhuna Gosht and other small time fares. Unable to taste all the dishes in only one visit, we also managed to taste their Bhuna Gosht with Roomali rotis. Though the Bhuna suggests that the pieces should have been deep fried with marinations, Cafe Birian had smoked the mutton pieces giving the gosht an unusual but tasty smoky flavor. 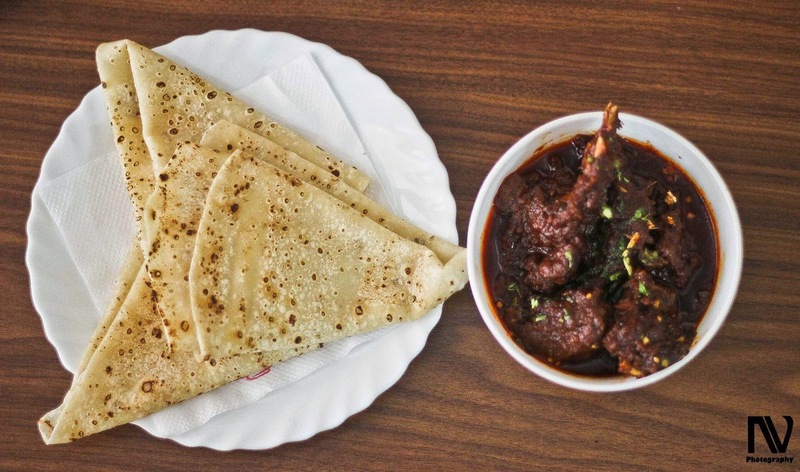 Made into a brown rich gravy, the Bhuna Gosht with Roomali Roti is a must try at this place.